Railpictures.ca - Stephen C. Host Photo: Ontario Southland @ Woodstock, Ontario, crossing over the CN Dundas Subdivision at Carew Diamond. | Railpictures.ca – Canadian Railway Photography – photographie ferroviaire Canadienne. 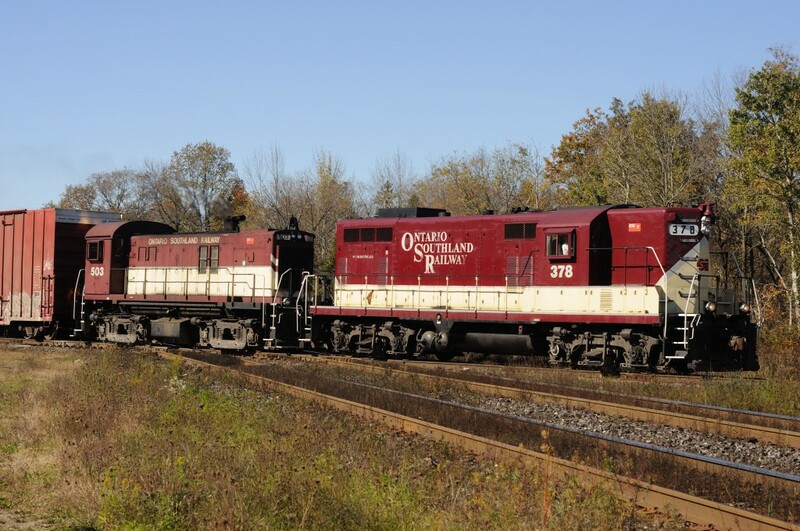 Caption: Ontario Southland @ Woodstock, Ontario, crossing over the CN Dundas Subdivision at Carew Diamond.